I have this card for today. 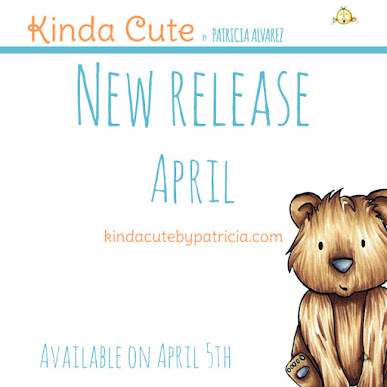 I didn't have time to write the blog post until today although I made it a few days ago. I know...I should plan things more but, believe me, I have a lot of things on my plate right now ;). I love the simplicity of the card, it only took me 40 minutes to have it design and made (hahaha). I never plan how I want the card and then it takes me forever to make it. But I think it was worth it (even for being so pink). I colored it with Copic markers and use gold watercolors for the background. The image is one of my digital stamps called Ballerina (I know... super original) and you can find it in my shop. Right now there is a 40% off sale in all the digital stamps using the code LABORSALE17. The card is for sale in my shop too, but the cards are not included in the sale. Too Cute at Cute Card Thursday. So sweet, love the pink wreath and splatter. 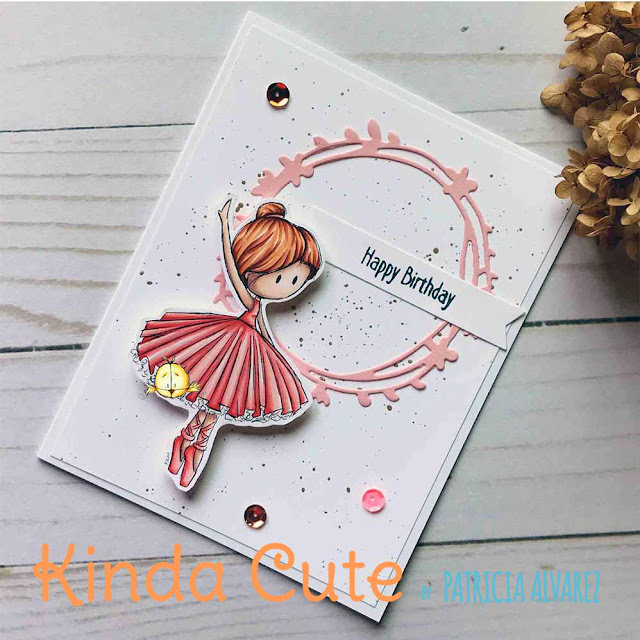 This is stunning Patricia, love your ballerina and your fabulous card design! Three words - simple, stylish, elegant. I love it!